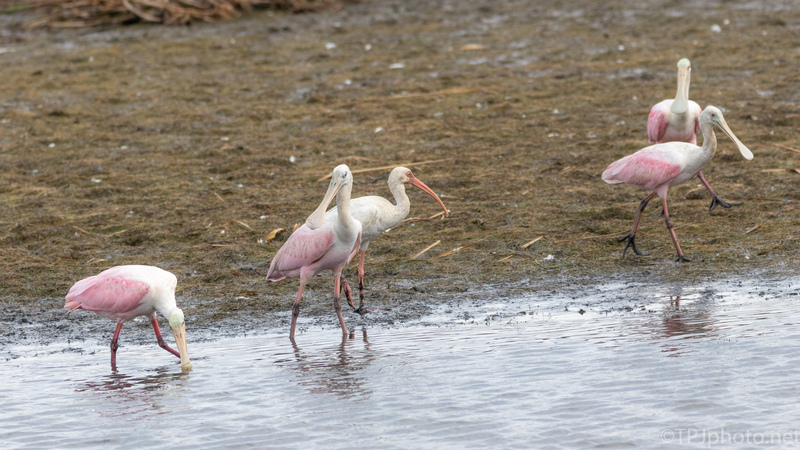 Not the first time I’ve seen this but the Ibis stuck close to all the Spoonbills. 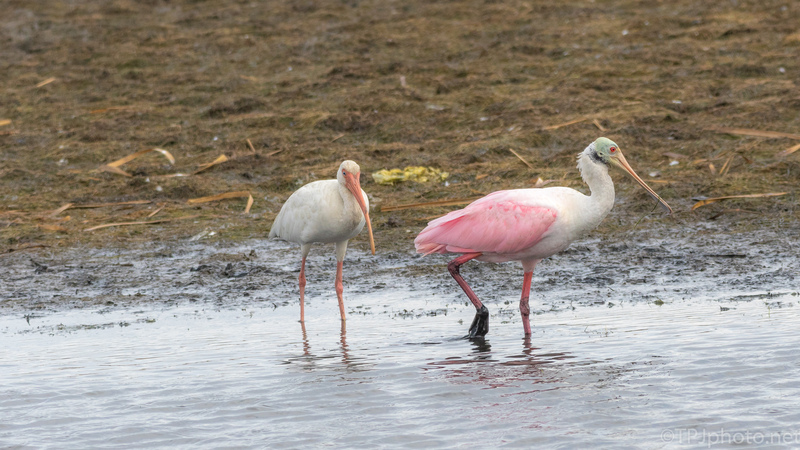 A Spoonbill is a lot more ‘civilized’ than Ibis so perhaps he felt safer. Especially since a few hundred of his relatives were tearing things up nearby. He might have been confused too. This is a pretty big Ibis.